I can’t remember when I first got the idea for a rambling country house as a setting for The Point as they struggle to write a new album, but it might have been inspired by Headley Grange, where Led Zeppelin recorded some iconic albums in the 1970s. It’s odd, because I read about the Rolling Stones themselves recording in a villa in the South of France, and you’d think that would have provided an even more compelling backdrop, but it was the Englishness of Headley Grange that ultimately appealed to me. 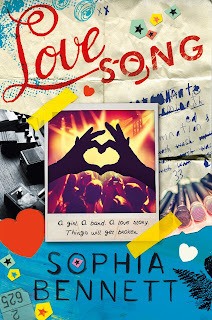 I pictured the band writing, recording and listening to Kashmir there, the way Nina listens to it in the book. 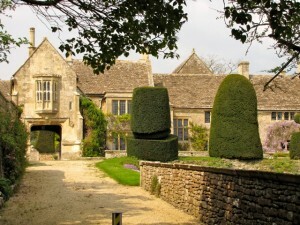 I started putting a Pinterest board together while I was looking for ideas for my imaginary location, and South Wraxall Manor was the first house to make it (https://uk.pinterest.com/sophiabennett/love-song/). Exquisitely beautiful inside and out, it’s been lovingly restored by its current owners, John Taylor and his wife Gela Nash, the co-founder of Juicy Couture. Even if it didn’t happen to be owned by John Taylor, I would still adore this romantic, mysterious place. But it just so happens that John, the bass player for Duran Duran, was one of my serious crushes in the 1980s. I was already writing Love Song, and imagining the grand, crumbling country house I wanted. After much thought, I’d placed it up in Northumberland – far from wifi and what the boys would consider civilization. I was describing it to a friend of mine who happened to be an ex-stylist for fashion magazines, and she said ‘Oh, you mean Eglingham Hall’. I didn’t, because I’d never heard of it, but when I looked it up, the similarities were spooky. 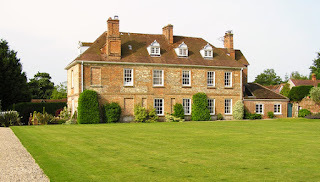 My imaginary house is largely Elizabethan and Eglingham Hall is boldly Georgian, but other than that, they have a ridiculous amount in common. 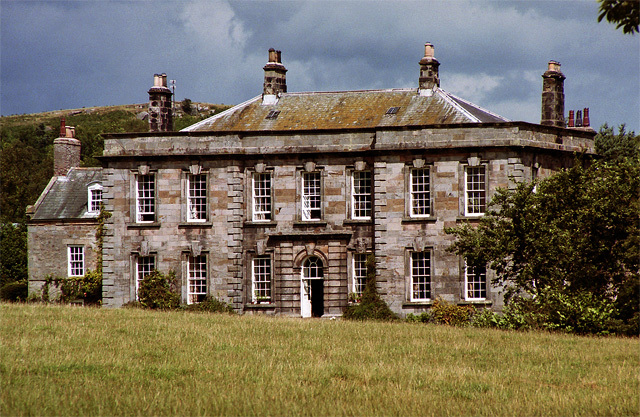 Both grand, tucked away in Northumberland, not far from Alnwick Castle, and slightly falling apart in a quintessentially English way. Eglingham is special because it’s used for eccentric fashion shoots by the likes of Tim Walker, who’s been one of my favourite fashion photographers for years. April Potts, who owns it, lets him fill rooms with fake snow, horses, a bi-plane or whatever else takes his fancy, for shoots with Kate Moss and Lily Cole. The pictures helped me imagine what Nina might get up to as an artist/photographer in Heatherwick Hall. The Silk Room, with its peeling yellow silk walls and creepy collection of dolls, was inspired by Eglingham. There’s more than a hint of Lordington House in Heatherwick. ‘House’ doesn’t begin to do justice to this place. It’s a Jacobean manor, with roaring fires, an immaculate garden, and views of endless rolling fields beyond. I know it well, because I’ve stayed there. It’s run as a B&B in Sussex, not far from Goodwood, and you can stay there too. Do! I based a lot of the interiors on the house, which is grand and wonderful, with roaring fires, but lived in, and a bit haphazard. It inspired the maze of corridors and the bathrooms carved out of bedrooms in the book. Nina’s bathroom at Heatherington was totally stolen from Lordington. Not the cheesy pink suite, but the slightly odd location, and the stunning view you get through the window while sitting in the roll-top bath. While I was putting this piece together I knew I’d missed something out, but couldn’t place where, or why. Then I realised that there’s a house we go to every year – sometimes in the summer, sometimes in the dead of winter – to visit very close friends, and of course I’d been thinking of it. 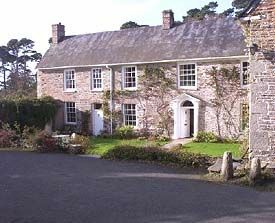 It’s a beautiful Georgian rectory in Cornwall, set beside the sea, with a large kitchen where we all tend to congregate because our friend is a fabulous chef. I must have had it in the back of my mind when I was writing all the happy scenes at Heatherwick, when Nina and the boys are eating together, or settling into the sitting room to make music. The whole location was so special to me that ten years ago I asked if we could get married there. The church is a few steps away at the end of the garden, so after the wedding we all came back to the house for a wonderful home-cooked supper. I think, subconsciously, I based the impromptu feast near the end of Love Song on that meal. My husband plays guitar, my brother plays semi-professional bass, my father has played rock drums all my life, and my brother-in-law is a dab hand on vocals. They put together a scratch band for the wedding reception, and I danced the night away to their covers of the Arctic Monkeys and the Rolling Stones, surrounded by family and friends.